The results of state assembly elections underscored the rise of regional parties. The center should take note. The state assembly election results in Uttar Pradesh, Punjab and Manipur have underscored the growing relevance of regional parties in India’s politics – and the dismal condition of national parties. While the analysis on the reasons behind all the debacles and triumphs continues, the fact that national parties are out of sync with regional realities and aspirations is evident. Indeed, even before the election results were in, recent developments in Indian foreign policy and counter-terrorism strategies, such as the proposed setting up of the National Counter-terrorism Center (NCTC), brought to the fore the vast chasm between the center and states. Such developments have also highlighted the increasing influence of regional parties on issues once considered the prerogative of the central government. Meanwhile, in the realm of foreign policy, chief ministers like Mamata Banerjee of West Bengal and Nitish Kumar of Bihar have grown increasingly assertive. While Kumar wants to project his state as a bridge between India and Nepal, Banerjee’s aggressive approach towards the Teesta river treaty with Bangladesh ensured it had to be shelved. On counter-terrorism, too, non-Congress states have been pushing back against the central government. The main opposition Bharatiya Janata Party, for example, backed the concerns of individual states, arguing that the setting up of the NCTC was a threat to Indian federalism. More recently, on the issue of water, the Supreme Court ruled in favor of the Interlinking of Rivers, the brainchild of the erstwhile BJP-led government in the late 1990s. The fact that the BJP were sympathetic to chief ministers’ concerns over the NCTC while supporting the linking of rivers is ironic since many states, most notably Punjab, have opposed this. This raises an interesting question: Was the BJP’s opposition to the NCTC based solely on political calculations for the 2014 general election rather than a genuine respect for federalism? And have national parties been reconciled to the growth of regional parties, or do they still hyphenate regional demands with the compulsions of coalition politics? Based on the evidence, the Congress party seems especially out of sync with regional aspirations. There’s no better example than states such as Andhra Pradesh and Punjab, where the state units of the Congress party took a different stand from the center on key issues. With this in mind, central government would do well to stop blaming the “narrow thinking” of regional parties and try to connect more with the aspirations of individuals living far from the capital. Similarly, regional parties shouldn’t think of federalism merely in terms of being anti-Congress, as seems to be the case with regional leaders like Banerjee, who seem to exploit regional concerns for their own political ends. Certainly, the Congress should realize that being patronizing won’t do it any good. But regional parties will also find it in their own interests to take a balanced approach toward dealing with the center. Tridivesh Singh Maini is an Associate Fellow with The Observer Research Foundation. 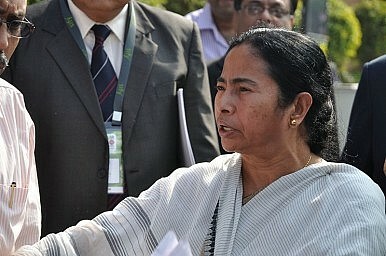 Plans for a hike in rail fares by Dinesh Trivedi have angered West Bengal’s chief minister. Congress is in trouble. What India's Election MeantNo Choice at India ElectionUPA Promotes Direct Subsidies Payments A Delhi Warning for Congress? BJP in Crisis?